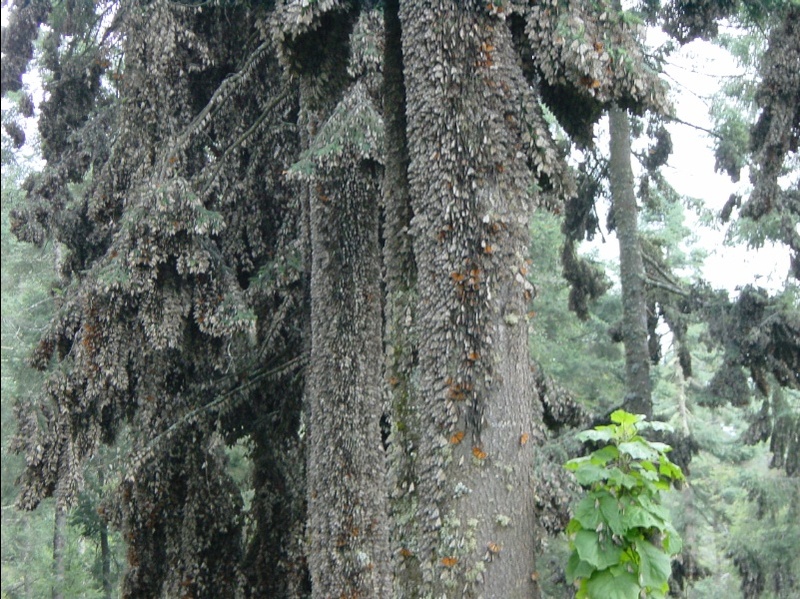 Monarchs are famous for the spectacular colonies that they form. These photos were taken in December and January, the coldest months in the sanctuaries. 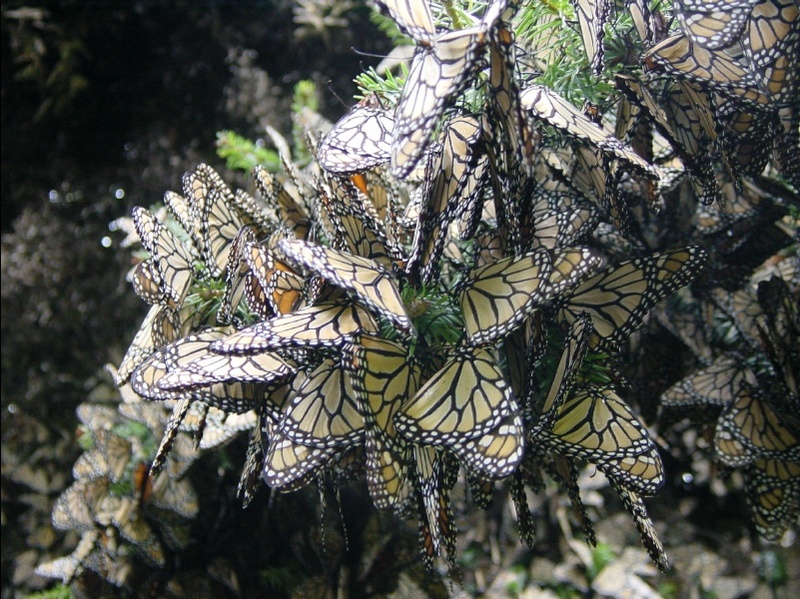 The butterflies cluster the most closely when the temperatures are the coldest. They certainly are not using much space in these pictures! 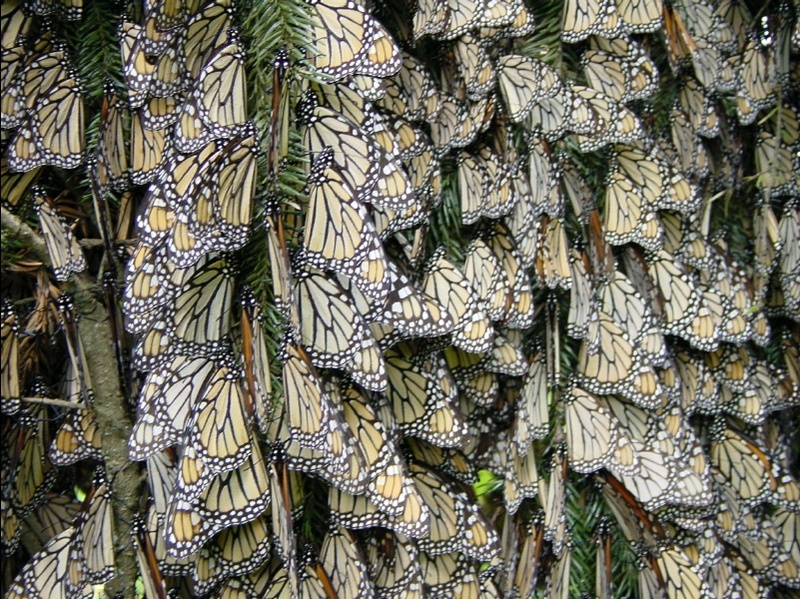 Some 15,000 butterflies can share a single branch--so many that the branch actually bends under their weight. Do the math yourself, then see what other students think!